Dr. Dorothee Dormann from the Biomedical Center of the Ludwig Maximilian University in Munich. Amyotrophic lateral sclerosis and frontotemporal dementia are two completely different diseases, but apparently they have a common molecular basis. Two proteins land in the wrong place and accumulate as droplets that do not dissolve but rather solidify and become insoluble deposits. Dr. Dorothee Dormann from the Biomedical Center at the Ludwig Maximilians University in Munich received the Paul Ehrlich and Ludwig Darmstaedter Prize for Young Researchers 2019 on March 14 in the Paulskirche in Frankfurt. The biochemist won this award for her groundbreaking work on the pathogenesis of amyotrophic lateral sclerosis (ALS) and frontotemporal dementia (FTD). In ALS, motor neurons die off, so that muscles progressively weaken and ultimately paralysis of the respiratory musculature occurs. In FTD, the nerve cells in the frontal and temporal lobe die off, which results in a massive personality change. „Dorothee Dormann has shown that these two completely distinct diseases have striking similarities in their pathogenesis,“ wrote the Scientific Council in substantiating its decision. „Of crucial importance were patients whose illness arose from genetic causes. The investigation of these genetic mutations helped Dormann elucidate aspects of the pathogenesis and identify possible molecular targets for therapy,“ the Scientific Council wrote. The Paul Ehrlich and Ludwig Darmstaedter Prize for Young Researchers has been awarded since 2006 in recognition of outstanding achievements in biomedical research. The prize was presented by Professor Thomas Boehm, Director at the Max Planck Institute of Immunobiology and Epigenetics in Freiburg and Chairman of the Scientific Council. ALS and FTD are complex diseases that have fatal consequences. Dormann early on took an interest in the typical deposits found in the brains of patients with these diseases. The deposits contain two proteins with the cryptic names FUS and TDP-43; both are normally active in the cell nucleus, where they help transcribe the genetic information correctly. Dormann showed that FUS is locked out of the nucleus in ALS and FTD, however for different reasons. In ALS patients, the FUS protein is not properly transported into the nucleus due to a genetic mutation and a defective molecular zip code. A cellular transporter then no longer recognizes that FUS belongs into the cell nucleus. In FTD patients, special chemical modifications on the FUS protein, so-called methyl groups, are lost. The transporter then holds onto the FUS protein too tightly and fails to import it into the nucleus in the proper manner. Ultimately, FUS accumulates in the cytoplasm and accumulates in special structures, known as stress granules, as soon as the cell is exposed to a stressful situation. Inside stress granules, the FUS protein forms distinct droplets – like oil in water. Dormann has shown that these droplets of FUS protein do not dissolve in patients with ALS and FTD, but rather gradually solidify and eventually become insoluble deposits. The prize-winner studies the molecular details underlying this process in order to find a way of preventing it. She is also investigating whether similar mechanisms are at work in other neurodegenerative diseases such as Alzheimer’s dementia or Parkinson’s disease. Disturbances of transport into the nucleus and the subsequent formation of droplets in stress granules might well be common pathological mechanisms and therefore form the basis of a general approach to treat neurodegenerative diseases. 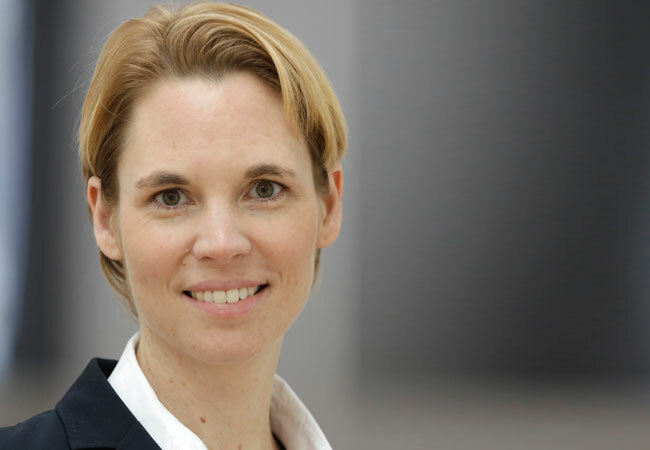 Short biography of Dr. Dorothee Dormann / Dorothee Dormann (42) studied biochemistry in Tübingen and at the University of North Carolina at Chapel Hill and completed her doctorate at the Rockefeller University in New York. She moved to the Ludwig Maximilians University (LMU) Munich as a postdoc in 2007 and has led an Emmy Noether Research Group at LMU’s Biomedical Center since 2014. She has been involved in coordinating the DFG Priority Program „Molecular mechanisms of functional phase separation“ since 2018. Dorothee Dormann has already won several prizes, including the Heinz Maier-Leibnitz Prize of the German Research Foundation (DFG), which is regarded as one of the most prestigious awards for young scientists in Germany. In 2014, the business magazine „Capital“ selected Dormann among the “top 40 under the age of 40” in its category „Young Elite“. The Paul Ehrlich Foundation / The Paul Ehrlich Foundation is a legally dependent foundation which is managed in a fiduciary capacity by the Association of Friends and Sponsors of the Goethe University, Frankfurt. The Honorary Chairman of the Foundation, which was established by Hedwig Ehrlich in 1929, is Professor Dr. Peter Strohschneider, president of the German Research Foundation, who also appoints the elected members of the Scientific Council and the Board of Trustees. The Chairman of the Scientific Council is Professor Thomas Boehm, Managing Director at the Max Planck Institute of Immunobiology and Epigenetics in Freiburg, the Chair of the Board of Trustees is Professor Dr. Jochen Maas, Head of Research and Development and Member of the Management Board, Sanofi-Aventis Deutschland GmbH. Professor Wilhelm Bender, in his function as Chair of the Association of Friends and Sponsors of the Goethe University, is Member of the Scientific Council. The President of the Goethe University is at the same time a member of the Board of Trustees. This is the news channel for the latest information from science and research at Goethe University.